Tourism suffered in Barcelona with a sharp drop in holiday lets during the long weekend in December (6th to 10th). According to figures from Rentalia, the holiday let portal belonging to idealista, holiday let occupancy in the city stood at 58.2%, almost 20% below the same time last year. Adapted translation of an article published by Idealista. “The figures reflect a worrying drop in visitors to Barcelona. 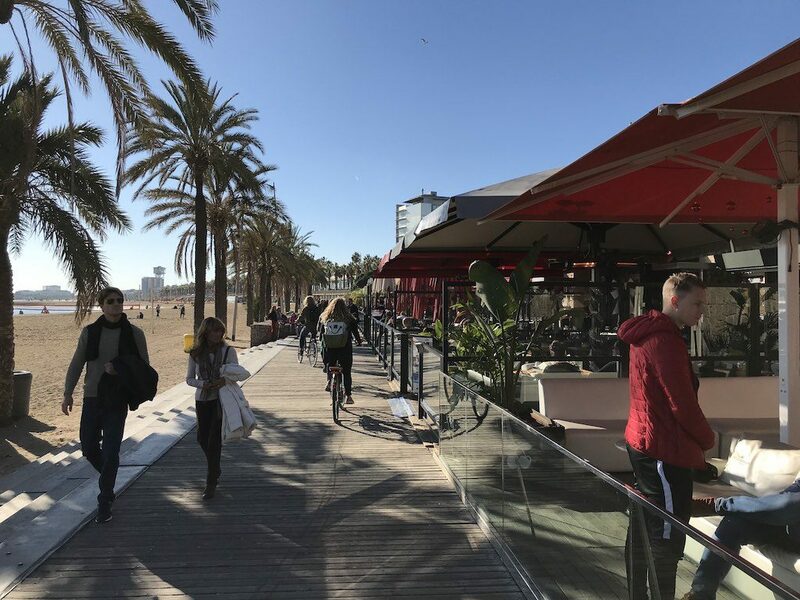 The city is usually a benchmark for tourism, but political instability has affected holiday let occupancy to the point where it’s the city with the second lowest level in Spain for the long weekend,” explained Almudena Ucha, manager of Rentalia. The decrease is practically the only exception. Among all large Spanish cites, Las Palmas de Gran Canaria was the only one with a lower level of occupancy than last year. In this case, however, the figure stood at 81%, down 4.5% in the year. In all other large cities, occupancy went up in year-on-year terms. On average, 82 of every 100 holiday lets were booked, up 15% on figures for 2016. “These are excellent figures for the holiday let sector. The increase is partly due to the fact that last year the public holidays (6th and 8th December) fell on Tuesday and Thursday, so people went away for one or the other. However, in 2015, the last long weekend that wasn’t divided up and therefore comparable, holiday let occupancy was 70%, making this year’s figure even more impressive,” said Ucha. The three cities with the highest holiday let occupancy were Seville with 98.4% (up 17.7% on 2016), Cordoba with 97.1% (up 43.2%) and Madrid with 96.7% (up 12%). Next in the list were Granada ( 96.4%, up 14.4%), San Sebastian (94.2%, up 36.8%), Gijón (91.3%, up 48.1%), Valencia (90.2%, up 44.3%), Salamanca (88.9%, up 16.9%), Malaga (88.1%, up 22.2%) and Cadiz (86.5%, up 48.3%). Below average were Las Palmas de Gran Canaria, with 81% occupancy (down 4.5%), Tarragona with 64.4% (up 10.6%) and Santander with 60% (+34.4%). Further below these were Palma de Mallorca (58.4%, up 20.1%), Barcelona (58.2%, down 19.9%) and Alicante (42%, up 15.2%). Barcelona is therefore the second lowest in bookings.